Windy Road Technology is proud to announce the five short-listed nominees for Windy Road™’s Inaugural Sydney’s Best TIBCO BusinessWorks™ Consultant Award. The short-listed nominees are the nominees that received the highest votes during a closed voting round. The voting was restricted to the nominees (they were not allowed to vote for themselves), Sydney users of TIBCO products (by invitation from TIBCO and limited to one vote per organisation) and guest judge Paul Scott-Murphy (Regional CTO, TIBCO Software)*. Each voter was asked to select who they thought were the three best BW consultants from the list of nominees**. These votes were combined using a weighting of 45%, 45% and 10% respectively to provide a total score for each nominee. As similar system will be used for the second round of voting. We will also be giving out a people’s choice award. Voting for the people’s choice award is open to everyone. Cast Your People’s Choice Vote Now! The second round of voting will closed at 11:59pm on the 5th of March 2014. The winners will be announced shortly on the Windy Road website. If you voted for the people’s choice award and you have not received an email asking you to confirm you vote, please check your junk folder for an email from Windy Road and respond or email [email protected] before 11:59 AEDT 11th March, 2014. Unconfirmed votes will not be counted. Please confirm your vote to make it count. The short-listed nominees are provided in alphabetical order. * In order to avoid positive bias towards the TIBCO employees, Paul Scott-Murphy did not vote for any of the nominated TIBCO employees. ** The order of the list of nominees was randomised for each vote, to prevent bias that could be caused by presenting the list of nominees in a static order. Ben has over seven years of TIBCO experience, having started his TIBCO career in December 2006. During that time he has worked for and with GLiNTECH, Westpac, DBS Bank, TIBCO Software, Ausgrid, BPAY, CSC, BT, Colonial First State and NSW Office of State Revenue. In September 2011 Ben passed the TIBCO BusinessEvents 5.0 certification exam, becoming a TIBCO Certified Professional. In October 2012 Ben passed the Architecting Composite Applications And Services With TIBCO certification exam, again becoming a TIBCO Certified Professional. In November 2012 Ben sat and passed the certification exam to become a TIBCO Certified Architect. Ben is very highly regarded by his peers, achieving the highest score in the votes from his fellow nominees. 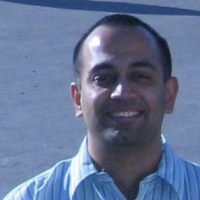 Karthik has almost fifteen years of TIBCO experience, having started his TIBCO career in June 1999. In 2006 Karthik passed the TIBCO BusinessWorks 5 certification exam, becoming a TIBCO Certified Professional. Karthik is very highly regarded by Sydney users of TIBCO products, achieving the highest score in the votes from the users. Matt has over twenty years of TIBCO experience, having started his TIBCO career in January 1994. During that time he has worked for Nomura, TIBCO Finance, Reuters Consulting, TIBCO Software, Reach, HP and ANZ. Sam has almost seven years of TIBCO experience, having started his TIBCO career in June 2007. During that time he has worked for or with GLiNTECH, DBS Bank, National Australia Bank, Windy Road, AMP, StarTrack and Essential Energy. Sam received the highest vote amongst the short-listed nominee from Paul Scott Murphy and Paul had the following to say regarding Sam’s nomination. Todd has almost ten years of TIBCO experience, having started his TIBCO career in June 2004. During that time he has worked for National Australia Bank and Ausgrid.